While we don't deserve any of God's gracious blessings, small groups do bring people together. So the issue here is not whether or not they are effective, but rather the nature of their effectiveness. Do they deepen our faith in God or our dependence on each other? Do they teach us to know and follow God's Word or do they promote subtle forms of compromise for the sake of unity in diversity? Do they encourage Biblical discernment or open-mindedness and tolerance for unbiblical beliefs and values? Finally, are they led by the Holy Spirit or driven by well-trained facilitators and the "felt needs" of the groups? Today's facilitated small groups or teams are not like the old Bible studies many of us attended years ago. Back then, we discussed the Bible and its wonderful truths; now people dialogue until they reach an emotional form of unity based on "empathy" for diverse views and values. Dr. Robert Klench gave an excellent description of this process in his article, "What’s Wrong with the 21st Century Church?" "When the Word of God is dialogued (as opposed to being taught didactically) between believers and unbelievers... and consensus is reached – agreement that all are comfortable with – then the message of God's Word has been watered down ever so slightly, and the participants have been conditioned to accept (and even celebrate) their compromise (synthesis). The new synthesis becomes the starting point (thesis) for the next meeting, and the process of continual change (innovation) continues. "The fear of alienation from the group is the pressure that prevents an individual from standing firm for the truth of the Word of God, and such a one usually remains silent (self-editing). The fear of man (rejection) overrides the fear of God. 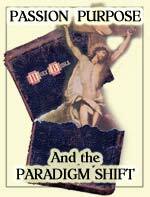 The end result is a “paradigm shift” in how one processes factual information." In the past, God's unchanging Word was the ultimate test of right and wrong and our goal was knowing God's will and aligning our thoughts to His truth. Now the goal is to bond diverse people into a "family" that must "respect" all kinds of Biblical interpretations and contrary opinions—even when conclusions clash with the Bible. The old guidelines for discussion were based on God's call for agapeo love, kindness, patience and scriptural integrity. Today's ground rules are based on humanistic psychology and manipulative guidelines for social transformation, "relational vitality," emotional unity and collective synergy. Sounds complex and implausible, doesn't it? That's why Christians are being drawn into the dialectic process with little understanding of the real transformation that takes place both in churches and in individuals who participate in the new "systems thinking" and "outcome-based" or "purpose-driven" learning process. Perhaps the best way to explain this transformation is to show some of the ways Pastor Rick Warren's small group process matches the change process outlined in a book titled Leading Congregational Change (LCC). This book, largely inspired by Saddleback's success, gives us a detailed look at the change process itself. 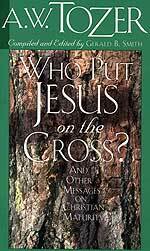 "This is a book you ought to read before you change anything," said Rick Warren in his hearty endorsement. This book -- we will refer to it as LCC -- presents the dialectic process as part of a system. Its main model is Saddleback Church, where dialectic groups are led by facilitator-leaders trained in the psycho-social strategies of collective change. The LLC shows us that the dialectic group doesn't operate in a vacuum. It's part of a system that controls the planned transformation with top-down standards for group values, relational skills and "service learning." It provides surveys, assessments and data tracking systems that continually measures "change" and monitors conformity to the set pattern. And it follows the same Total Quality Management model embraced by governments, corporations, education systems, the United Nations and other organizations around the world. That new model, demonstrated by Saddleback Community Church, is outlined in LCC. While the "change" process involves numerous complex "skills" and strategies such as vision casting, system thinking, creative tension, self-assessment... we will only look at those that specifically relate to small groups here. "We agree to the following values:"
Safe Environment: Help create a safe place where people can be heard and feel loved (no quick answer, snap judgments, or simple fixes). Establish Values to Guide Team Interactions. "Before a team is launched, ground rules need to be established. Team members bring many unexpressed assumptions about what is and is not acceptable in group interaction. ... Openness, consensus, mutual respect, creativity, and diversity are some of the typical values of effective teams." "... the importance of declaring a value and enforcing it repeatedly. Mastering team learning will be difficult if values are not made explicit. The long-term objective is collective transformation. This transformation includes unity and readiness to flow with the changes ahead. The people "stay on course" together by keeping their hearts and minds focused on the common vision. That vision is like the carrot dangling in front of a horse's mouth. It motivates the horse to move forward in a particular direction. There's no final goal other than ongoing and unhindered transformation and conformity—i.e. continual change. And each part of the group or community must be so focused on the carrot (stated purpose or vision) that together they embrace whatever new "mental model" (new worldview, paradigm or way of seeing reality) the facilitator or pastor presents. The group or collective must learn to think and follow as one. collaborative approach for sharing and examining information. Pastor Warren's statements illustrate "systems thinking" in a church context. Yes, God wants us to be one with Himself and with each other: one family in Christ, all led by the Holy Spirit according to God's perfect plan. But when God's guidelines for His Body of believers are placed into the context of a secular management system -- and when each member is told to find its "meaning" or purpose in the collective "body" rather than in Jesus Christ, the Head of His body -- the Biblical ideal becomes little more than a tool to conform people to an unbiblical process. Let me try to explain. Yes, those time-tested strategies for social engineering will indeed accelerate the "learning process." But the "measurable outcome" will be the blinded products of human manipulation, not the Body of Christ taught and established by the Holy Spirit. "Before you get into the video teaching and we start digging into the purposes, we want to take a moment to find out where people are spiritually.... Your health is never static. It needs to be regularly checked in order to ensure a lifetime of health. "Here is an opportunity for you to model authenticity by sharing with the group where you are progressing and where you need to grow. Whatever the level is of your vulnerability and need for accountability will quickly become the norm in the group." In a non-threatening way, Pastor Warren has just introduced the group to an essential part of the change process: continual assessments. The health, growth and progress of every member must be recorded and monitored. This is where today's sophisticated high tech data systems fit into the Church Growth and Purpose Driven paradigm. [See CMS in Part 1] Every person, every step forward, every change must be recorded and tracked, analyzed and taken into account. The same is true of Outcome Based Education in schools, Al Gore's attempts at "reinventing government" and Total Quality Management in business around the world. All follow Peter Drucker's worldwide formula for business management. Commitment to Learning. ...Change leaders should assess the skills of each member and try to create targeted learning experiences at every stage of the change process. 3. DIALOGUE: In the first of his weekly video lesson for leaders, Pastor Warren says, "I want you to discuss what we talk about each week, dialogue with each other, consider the implications, and plan some action steps as a result. The more you get involved and participate, the more benefit you'll receive from this spiritual growth series in the next six weeks." Sounds good and true, doesn't it? Now consider LCC's explanation of dialogue. It quotes Dr. Peter Senge, founder and Chairman of MIT's Society for Organizational Learning, who authored a bestselling book on systems thinking called The Fifth Discipline which has served as a worldwide guide on social and behavioral change. "In discussion, an individual's perspective ... is presented with the objective of persuading the rest of the group.... In dialogue, an individual offers his or her perspective or assumptions for examination by the group. The object of dialogue is to allow others to see what you see and why you see it, not to convince them. Dialogue can create a rich understanding if information is shared openly and if all participants listen deeply. As in Soviet brainwashing, Gestalt therapy and the popular encounter groups of the sixties, each person must learn to be "authentic" and vulnerable—willing to freely share their personal feelings and confess their weaknesses. To encourage such authenticity, the facilitator must build a permissive, non-judgmental or "safe environment." Affirmation, celebration and often an all-inclusive view of God's promises help people feel at home—no matter what their beliefs, lifestyles and values. The dialectic questions in the back of The Purpose Driven Life fit this process. The first two begin with "What do you think....?" and "What do you feel...?" None of the questions point to the Scriptures, instead all focus on subjective elements of Pastor Warren's five Purposes. They free members of the group to identify with subjective feelings and bond without fear of correction, no matter what their beliefs or lifestyles. Since the 40 Days of Purpose program is only the first step in a non-ending process of group learning, it does little more than open the door, begin the training in dialectic thinking, demonstrate the oneness achieved in a facilitated encounter group, and build a hunger for more of the same kind of unity. Apparently, the majority of participants become so attached to the group (and to the unifying process) that they continue either with the same friends or in a new group with others whose lives have been "transformed." "The gospel of Christ calls us to this kind of authentic transparency. Jesus modeled this self-awareness. He knew who he was... his purpose in life. He knew how his culture influenced him. The next two quotes place confession and authenticity, first, into an interfaith context and, second, into the overall process of Soviet brainwashing. Confession and authenticity has been vital to both. Edward Hunter wrote his book on Soviet-style brainwashing after numerous personal interviews with victims of the Chinese "education reform." These survivors include Western missionaries, prisoners of war, teachers, and business men who were trained through cruel but sophisticated "brainwashing" tactics to betray their nation, embrace dialectic materialism, "confess" lies, and serve the Communist propaganda machine. In the end, he shows how some were able to resist the process. In today's Church Growth Movement, resisters are usually sifted out fairly early in the process. In the next installment, we will look at some of the ways non-conformists are assessed, exposed, vilified and dismissed from the church family they have loved, served and supported. "... in the last days perilous times will come: For men will be lovers of themselves, lovers of money, boasters, proud, blasphemers, disobedient to parents, unthankful, unholy... lovers of pleasure rather than lovers of God, having a form of godliness but denying its power. And from such people turn away! 2. Rick Warren, The Purpose Driven Church (Grand Rapids, MI: Zondervan, 1995). 3. James H. Furr, Mike Bonem and Jim Herrington, Leading Congregational Change (San Francisco: Jossey-Bass, 2000). Peter Senge, the founder and Chairman of MIT's Society for Organizational Learning, a "global community of corporations, researchers, and consultants," authored the 1995 book on systems thinking, The Fifth Discipline, which presents today's process for social and behavioral change. The article, "Peter Senge and the Learning Organization" mentions Senge's emphasis on dialogue and shared vision." It suggests a "link here with the concerns and interests of communitarian thinkers." “'Leader as teacher' is not about 'teaching' people how to achieve their vision," wrote Peter Senge. "It is about fostering learning, for everyone. Such leaders help people throughout the organization develop systemic understandings." 5. Rick Warren, 40 Days of Purpose, Transcript of Small Group & Sunday School Teaching Video (PurposeDriven, Saddleback Parkway, Lake Forest, CA), page 16. 6. Scott Peck, The Different Drum: Community-Making and Peace (New York: Simon & Schuster, 1987); pages 69-70. 7. Edward Hunter, Brainwashing (New York: Pyramid Books, 1956), pages 50, 51.